The gift of Mr. S. Gurney MP July 1861. Cost £400.0.0. 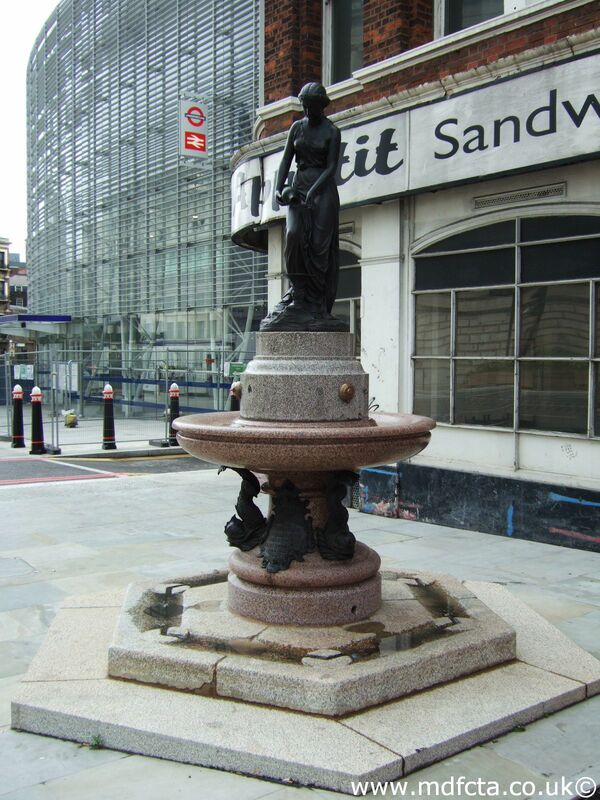 Removed during the construction of the Central London Railway Station and re-erected 1900. Removed in 1911 to Blackfriars Bridge. In 1987 two copies were made of the bronze figure "Temperance". One to Wolfson College Cambridge; the other to To J.E. Mills Chairman of the Drinking Fountain Association.